It's the rare American who has worked for one employer for 40 years and will retire with a fully-funded pension. Company pensions are quickly receding from the retirement landscape. In 1998, 50% of Fortune 500 companies were offering traditional pensions. By 2015 less than 5% were, according to a report from Willis Towers Watson. The result? 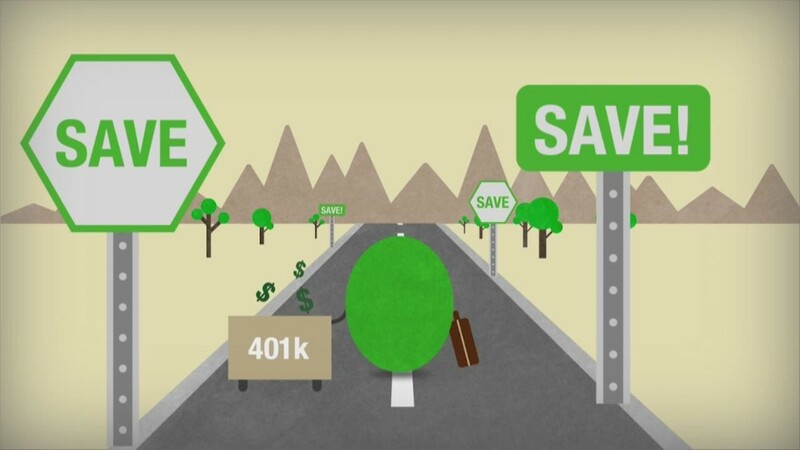 More people are relying entirely on a 401(k) or IRA to fully fund their retirement. But some people are looking for reliable guaranteed income, the likes of which the pension once offered. That's where annuities come in. Imagine if instead of drawing down money from a finite "nest egg" that could grow and diminish with the market, you got a check for $1,000 every month once you hit 70 and it continued for the rest of your life. Guaranteed income in retirement protects you from two major risks: the risk of outliving your retirement savings and the risk that the market could tank, taking your nest egg's value down with it. "It isn't meant to be a full replacement for a 401(k) or an IRA, but part of a diversified retirement plan," says Matt Carey, founder and CEO of Blueprint Income, an online distributor of annuities. "This is guaranteed income in retirement that protects you from market risk and outliving your money." An annuity is a financial contract with an insurance company that provides regular, guaranteed payments for a specific period of time, usually beginning when you retire. But a lot of annuity products are complicated and don't really fit inside a well diversified portfolio, Carey says. "We are focused on creating the simplest kinds of annuities by lowering the barriers to entry, simplifying the offerings and making it all available online," says Carey. The difference between a regular annuity and Blueprint's "personal pension" is that an annuity is usually purchased with a large one-time deposit, which averages around $100,000. The personal pension can be set up for much less: as little as $5,000 for your initial investment. After that, Blueprint follows a subscription model for payments, allowing you to contribute as little as $100 a month in flexible payments. Once you retire, you'll receive a monthly annuity check no matter how long you live or what's happening with the financial markets. How much does it cost and how much will I get? Blueprint Income does not charge any fees. It's paid a one-time commission from the insurer you contract with. How much you get in your monthly check is determined by how much you contributed, when you started withdrawing money, and your gender. Since women live an average of two years longer than men, women's payouts for most annuities are slightly lower. Blueprint's personal pension is guaranteed by an insurance company, so you'll never have to worry about not receiving your payouts. Once you've paid a significant amount of money toward a policy that ensures you'll receive income for life, what if you die before it pays out? Unless you otherwise specify, the money will go to your beneficiaries in that case. Another common question: Can you get the money before retirement? "This product basically has no liquidity," says Carey. "It is strictly used for retirement. If someone thinks they may need their money for something else down the road, this isn't a good place for it." While annuities offer safety, they don't offer growth potential like the stock market does. So they're meant for more risk-averse investors. If you're already nearing retirement, already have a pension from your employer or are interested in relying on the markets to make your retirement income, a personal pension isn't for you. But if you're in good health, more than five years away from retiring and are looking for secure income in retirement, an annuity like Blueprint's personal pension may be a good fit. "If you have money in bonds, it isn't because you want that money right away," says Carey, "it's because you want that money to be safe. It is the same with the personal pension."